The Boston Chapter of Statera Mentorship was created in the winter of 2019. It was founded by Julie Hennrikus and Sarah Morrisette who also serve as Regional Coordinators. The chapter, which serves the larger Boston area, is currently preparing to launch Class I in July 2019. To sign up, for Class I, please choose either MENTOR or MENTEE. If you have any questions, please contact our National Co-Directors at mentorship@stateraarts.org. 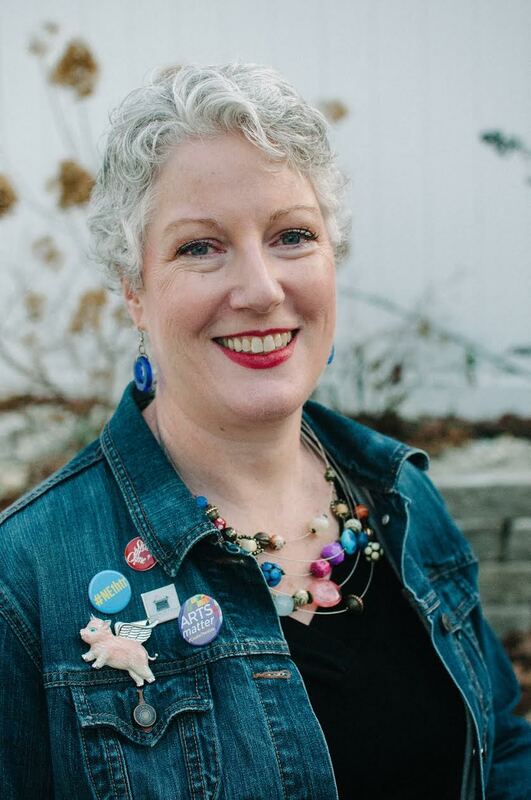 Julie Hennrikus (she/her/hers) has worked in arts administration for over thirty years, and she’s taught arts administration classes for over ten. In 2018 she opened Your Ladders, an online business school for artists. Prior to that, Julie was the executive director of StageSource, the service organization for the New England theater community. She’s also worked at Emerson College as general manager and director of marketing for Emerson Stage, and Harvard University as Program Manager of the Memorial Hall/Lowell Hall Complex. She began her career in box office and front of house, including creating the Sanders Theatre (now Harvard) Box Office, running the box office for Mapplethorpe: The Perfect Moment at the ICA in Boston, and working for different shows at the Charles Playhouse. Julie is also a published mystery author, writing under the names Julia Henry, J.A. Hennrikus and Julianne Holmes. Sarah Morrisette (she/her/hers) is a Boston based actor and educator. Sarah earned her BFA in Acting from Ithaca College, where she began to explore her passion for using the arts to educate, build community and inspire social change. In 2015 she was an intern at the Centro de Teatro do Oprimido (Center for Theatre of the Oppressed) in Rio de Janiero, Brazil, immersing herself in the methodology of Augusto Boal. As a facilitator of Theatre of the Oppressed, Sarah has led workshops in Mozambique, Brazil, India, Pakistan, Chile and throughout the Northeastern USA. Favorite past theatre credits include: To Kill a Mockingbird and Othello (New Repertory Theatre/CRC), Doubt (Newton Nomadic Theatre), As You Like It (Ithaca Shakespeare Company), and My Children! My Africa! (Ithaca College). Sarah is the resident theatre teaching artist at Hyde Square Task Force, a community development organization in Jamaica Plain. She is also the Education Associate at New Repertory Theatre in Watertown, managing their educational touring company, Classic Repertory Company.